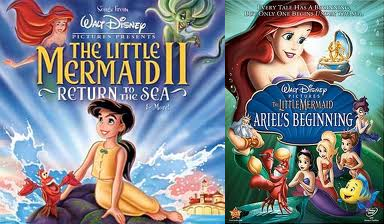 "The Little Mermaid: Return to the Sea" and "The Little Mermaid: Ariel's Beginning" are scheduled for a US release in a special Blu-ray "2-Movie Collection" during the 2013 holiday season. 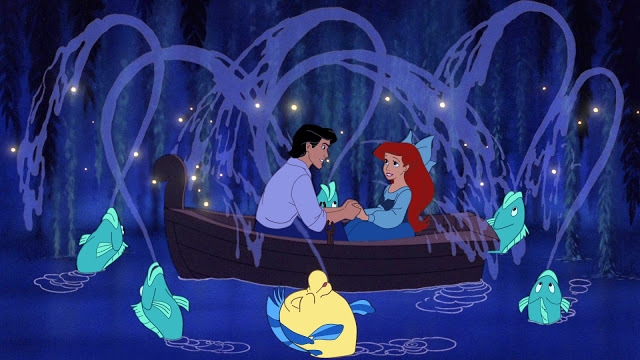 All three films, including the original classic "The Little Mermaid," will be released as a single-package unit in the UK on September 2, 2013. 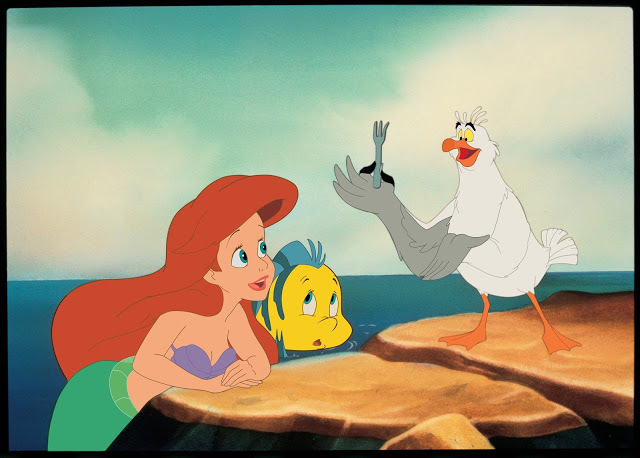 This is sure to please fans of Ariel the Little Mermaid, of whom there are many around the world. Below is the trailer for the US release. 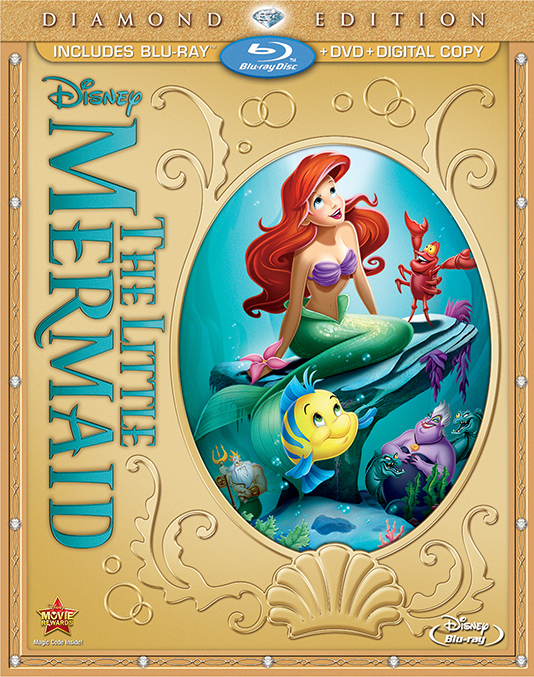 The Diamond Edition of "The Little Mermaid" itself appears in stores on October 1, 2013. Given the blockbuster success of Despicable Me and its recent sequel, Despicable Me 2, producer Illumination Entertainment (of Universal) is ready to create a spin-off. 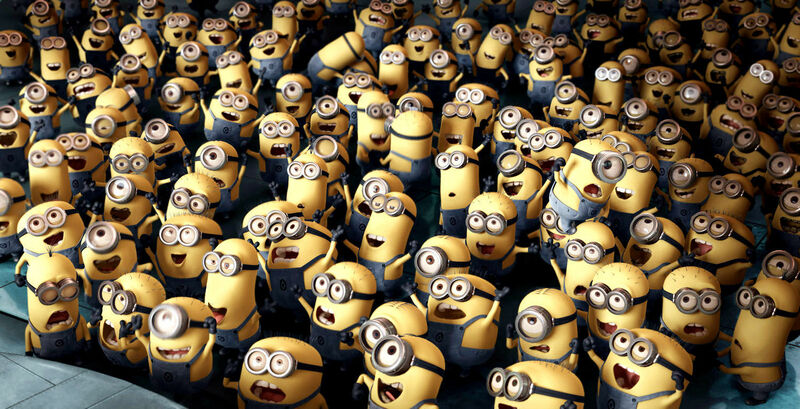 Everybody except die-hard Steve Carrell fans knows that the real star of the "Despicable Me" franchise is ... the minions. Everybody loves the minions, and the quality of the franchise is quite high in general. The spotlight on the minions is nothing new. They have a theme park ride, and are the stars on their own short films on the original "Despicable Me" dvd/Blu ray. The directors are slated to be Pierre Coffin and Kyle Balda, with a script from Brian Lynch. Expect the sequel in 2014. "This brand-new ride combines the outrageous humor and memorable characters of Universal Pictures and Illumination Entertainment’s blockbuster film Despicable Me, with an all-new storyline, incredible new animation and the latest 3-D technology to create a wildly hysterical theme park experience. Families will watch in amazement as they are transformed into minions, laugh together as they train to join Gru’s minion army and boogie down during the world’s-first minion-inspired dance party. 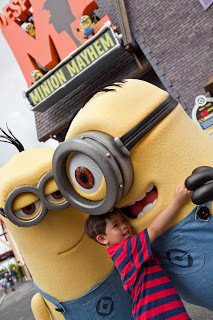 Despicable Me Minion Mayhem is hilarious and heartwarming fun for the entire family." Stay tuned to this space for details about the sequel as we get them. The original film in the Smurfs series, "The Smurfs (2011)," was not a favorite of the critics. It did, however, do good business, especially overseas where the classic comic strip originated. When an animated film grosses over $500 million, you can pretty much expect a sequel, so Sony Pictures Animation didn't hesitate. 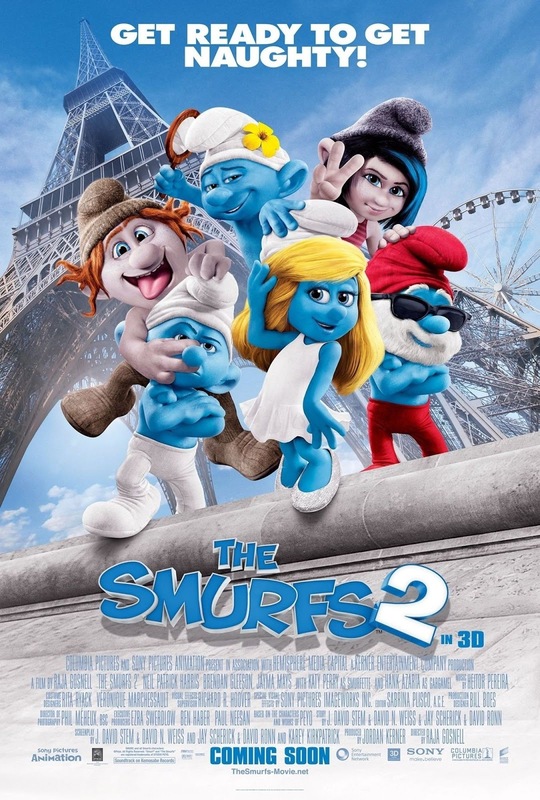 It quickly rolled out the unoriginally titled "The Smurfs 2" (2013). Directed again by Raja Gosnell and written by J. David Stem, David N. Weiss, Jay Scherick, David Ronn and Karey Kirkpatrick, this sequel does have a certain charm. That may simply be due to the fact that it is a relief to find an animated film that isn't yet another Superhero or action film that follows directly in the footsteps of every other Superhero or action film. There's no Batman or Superman! So, we're off to a great start. That said, "The Smurfs 2" is unlikely to win many awards for brilliant filmmaking. Like the original, it is split between animation and live-action scenes, which can be jarring. It isn't particularly funny for a comedy, and it has dark elements that seem weirdly out of place in light summer fare. However, the animation is good and the characters often endearing. If you are a fan of the original film, you probably will like this one as well, as it continues the narrative with the same actors and characters while throwing in just enough new plot twists to keep things interesting. Smurfette (Katy Perry) is worried that the other Smurfs are shunning her for some reason. Her birthday is approaching, and, unbeknownst to her, the other Smurfs are working hard to keep their plans for a surprise party quiet. Too quiet, as it turns out. Combined with recurring nightmares she has been having about her betraying the village to Gargamel (Hank Azaria), Smurfette becomes paranoid and leaps to the conclusion that the other Smurfs are suspicious of her and no longer want her around. 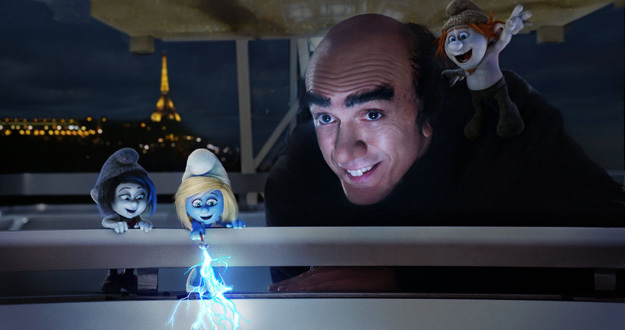 Gargamel, meanwhile, is using his Smurf essence to entertain Parisians with magical sorcery. Unfortunately for him, he is running low on the essence and doesn't know the formula. He creates the "Naughties," Vexy (Christina Ricci) and Hackus (J.B. Smoove), to open a portal to the Smurf village using the Eiffel Tower as a gateway. The plan is to go to Smurf Village and kidnap Smurfette, getting the formula for the Smurf essence from Papa Smurf (Jonathan Winters) as ransom. Everything works as planned, but the portal turns out to be so small that only Vexy can fit through it. Vexy goes through and grabs Smurfette, bringing Smurfette back to Paris to become Gargamel's hostage. Another Smurf sees Vexy kidnapping Smurfette, and he quickly tells Papa Smurf. Papa creates magic crystals that will enable a band of Smurfs to return to New York City and enlist the help of their friend, Patrick Winslow (Neil Patrick Harris), to retrieve Smurfette. Clumsy (Anton Yelchin), Grouchy (George Lopez) and Vanity (John Oliver) wind up using the crystals through an accident, and they, along with Papa Smurf, travel to Winslow's apartment. There, they reunite with the affable Winslows and meet Patrick's stepfather Victor Doyle (Brendan Gleeson). 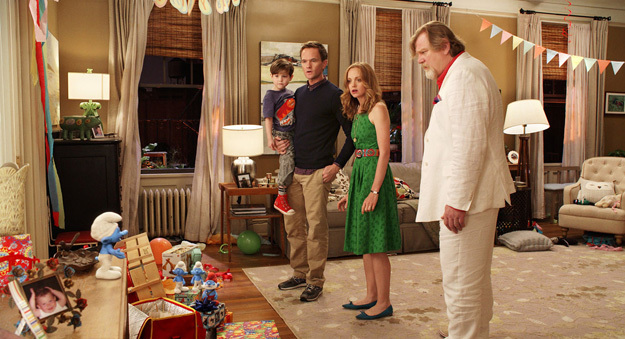 They all, including Patrick's wife Grace (Jayma Mays), travel to Paris in order to confront Gargamel. Finding Gargamel at his stage show, Patrick and Grace distract him while the Smurfs search for Smurfette. Smurfette, though, escapes on her own, chased by Vexy and Hackus. They catch Smurfette and return her to Gargamel's apartment, where Gargamel charms her with the gift of a dragon magic wand and falsely claims that he, not Papa Smurf, is her father. The Naughties are losing substance due to the diminishing Smurf essence, so Smurfette gives Gargamel the secret formula. Gargamel uses it to turn the Naughties into real Smurfs, then places them into his Smurfalator to power up his own dragon wand. Papa, Grouchy, Vanity and Clumsy, meanwhile, are still trying to find and rescue Smurfette. 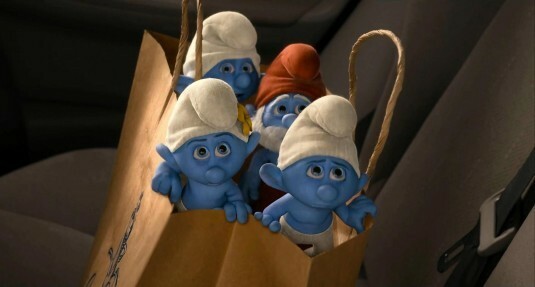 Gargamel captures them, though, and adds these Smurfs to the Smurfalator. Patrick and Victor then find Gargamel and destroy the Smurfalator, ruining the Smurf essence in the process but rescuing their Smurf friends. 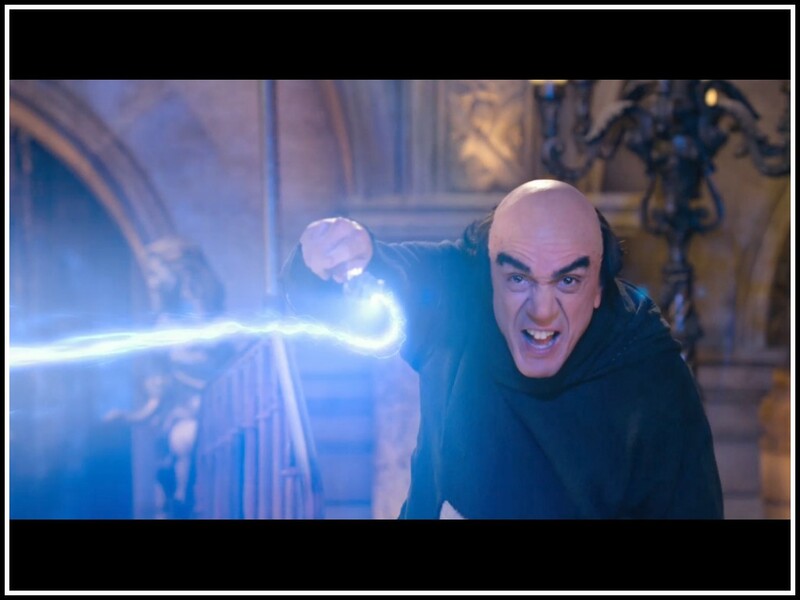 Gargamel has grown stronger due to the Smurfalator, but Vexy and Hackus team up with the other Smurfs and use their own magic wand to fight him. They send him flying through Paris, ultimately causing a firewords explosion for all of Paris to enjoy. The storyline of "The Smurfs 2" is fairly clever in finding a way to work the engaging Neil Patrick Harris into the storyline once again. There is a satisfying conclusion, as Gargamel gets his inevitable comeuppance, and the most engaging Smurfs - Papa, Smurfette, and the new addition Vexy - get the most screentime. The 3D animation is probably the best aspect of the film, providing a visual treat that shows animation to its best advantage. The shots of Paris are enjoyable and somewhat reminiscent of "The Hunchback of Notre Dame," not a bad feat considering the film was made in Montreal, Canada. 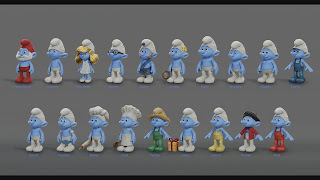 The combination of live-action and animation is done skillfully and is the one thing that sets the Smurfs films apart. Britney Spears, Nelly Furtado and Right Said Fred contribute songs for the fun soundtrack, with the overall score composed by Heitor Pereira. 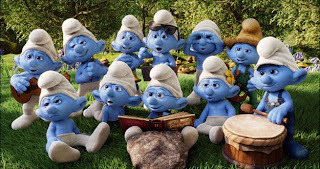 There is no question, however, that the Smurfs films lack substance and are aimed at a young audience. There are disjointed gags and one-liners that are amusing enough on their own, but don't really add up to much. A precocious cat has some of the best bits. The story, while clever enough in meeting its requirements, is completely predictable from the first few minutes. If an adult can't figure out that a kidnapped Smurfette is going to be rescued, he or she isn't really engaged at all. 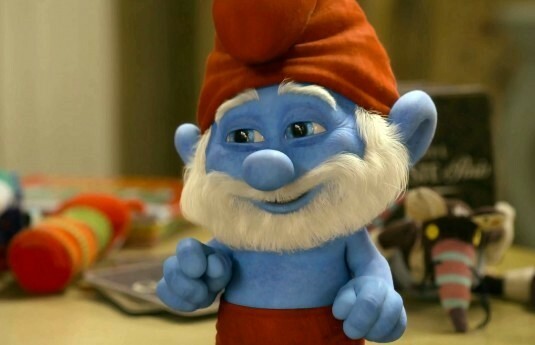 Perhaps the worst failing of "The Smurfs 2," though, is that the characters aren't all that original or interesting. Everybody goes through the motions competently enough, but really caring about the characters can be quite a chore. While the children are entranced by the physical comedy and visual tricks, adults may start wishing really hard that Gargamel will somehow juice his magic wand up enough to blast the annoying Smurfs to kingdom come. 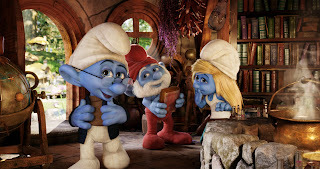 Characters from "The Smurfs 2"
There's one really good reason to catch "The Smurfs," and that is the presence of Jonathan Winters in his final role. A true comedy legend from decades ago, it is wonderful that Winters found a final characterization to exploit his genial zaniness. He provides the solid center of the film. Having played Papa Smurf in the old television series and both of the first two Smurf films, Winters will be sorely missed in the final instalment of the trilogy that is projected to be released on July 24, 2015. Summing it up in a phrase, "The Smurfs 2" is all sizzle, no steak. Worth picking up for the kids, "The Smurfs 2" isn't really one that adults should go out of their way to find. It received desultory marketing in the States, and certainly was not a high profile release there like "Monsters University" or "Despicable Me 2." Opening weekend box office receipts in the States were "disappointing." 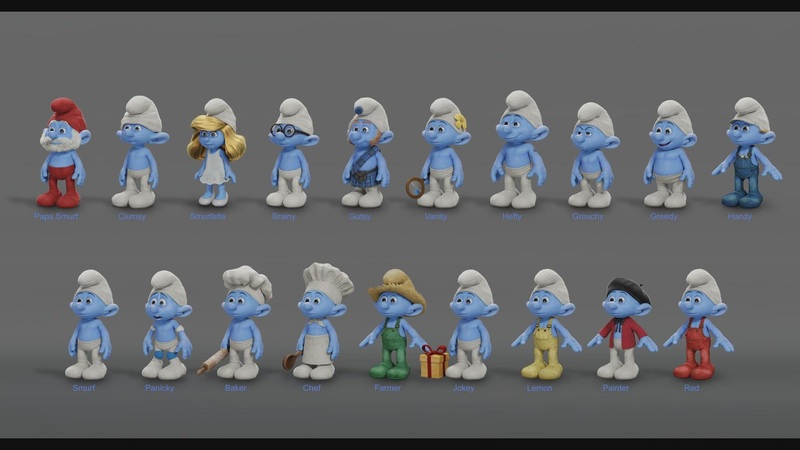 Overseas viewers tend to enjoy the whole Smurfs universe the most, and the Paris setting may grab them, so they might have somewhat more motivation to catch this predicable addition to the Smurfs universe. Katy Perry having some fun promoting "The Smurfs 2"
Below are trailers for "The Smurfs 2."